Someone starts yapping about that baby. Sarah’s always complaining to Jareth about “I want my baby brother back” and “where is my baby brother,” blah blah blah. I don’t know what her problem is. It’s David Bowie! JUST MARRY HIM. 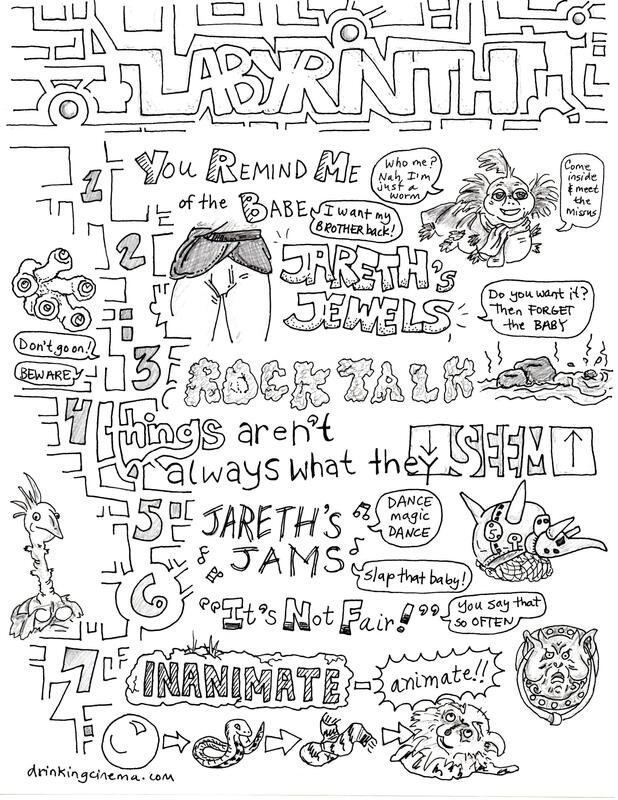 Jareth’s leather pants showcase his Goblin King jewels. 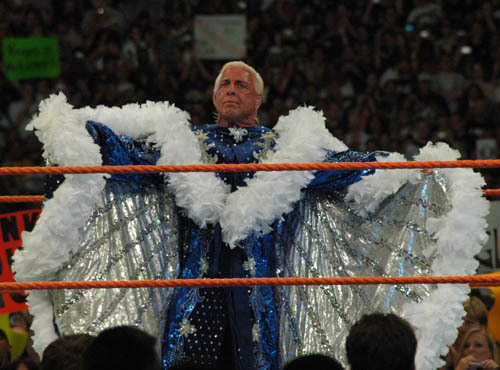 Other casting choices for the role of Jareth included Michael Jackson, Sting, and Ric Flair. OK, so we made that last one up. But it would be AMAZING. He'd really up the intensity by taking off all his clothes and then throwing a goblin into the crowd. WOOOOO!! Rocks talk or someone talks to rocks. Talking to rocks is cool! It’s like when I talk to my pet rock and it fills that void I have inside because I can’t have children. Things aren't always what they seem. For example, that scarf is really a snake, and Hoggle is really [SPOILER ALERT] a 4-foot-tall middle-aged woman named Shari. We are treated to a new Bowie song! Double-drink if there’s goblins going HAM in the background. Sarah complains that it’s "not fair." Sorry, betch. The Goblin King plays by NO ONE’s rules. Something that should be inanimate is actually alive. If we've learned anything from Labyrinth, it’s that you can’t take anything for granted. For example, my toilet should be safe to flush in the middle of the night, but it still scares me. Take a shot of Jareth Juice whenever you spot one of the SEVEN HIDDEN JARETH FACES. [Hint: there’s one made of rocks when Hoggle gives Sarah the peach.] WARNING: if you look up the others online, we will dip you head-first into the Bog of Eternal Stench. if David Bowie responds to this thread, I will have AL dip TJ headfirst into one of those assholes.